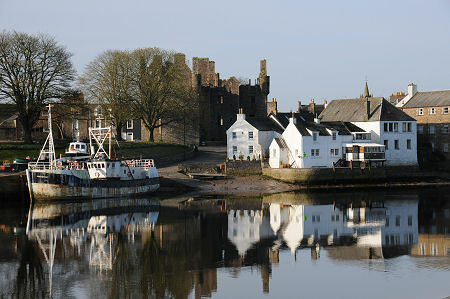 Kirkcudbright (pronounced kir-koo-bree) is a fascinating and genuinely pretty Scottish town. Attractive painted buildings in a whole array of colours vie for attention along its broad streets. A stunning array of Architecture with buildings like the town hall, Parish Church, Greyfriars Church, the Tolbooth, the Old Jail, Broughton House and MacLellan's Castle. 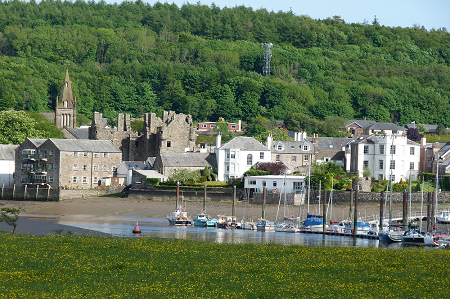 A stroll along to the harbour to see the fishing boats arriving or preparing to leave, along with a chance to eat what they catch from the fish and chip shop in harbour square completes the charming effect that Kirkcudbright has on you. 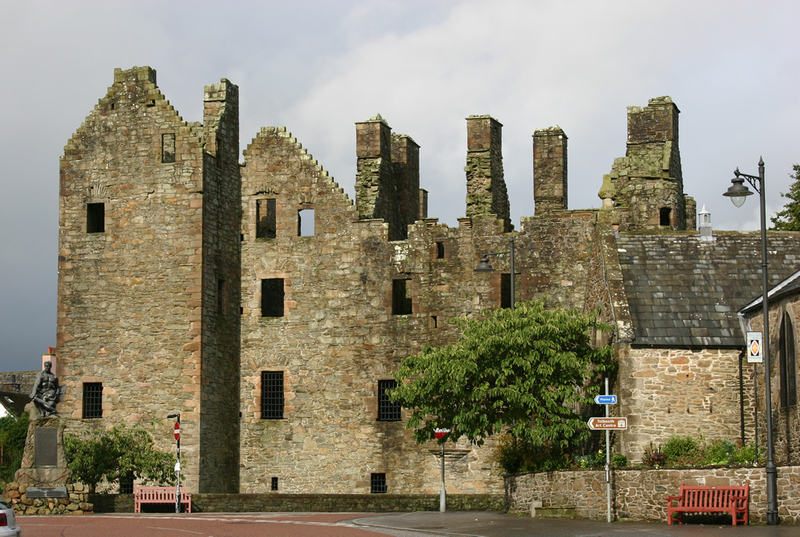 Kirkcudbright's origins are ancient. The name comes from "Kirk of St Cuthbert" and reflects the town's early importance as an ecclesiastical centre. A monastery had been established here by 1000AD, and in the 1100s the area was also home to a Cistercian nunnery and an Augustinian priory, as well as to a stone-built royal castle. A Franciscan friary followed in the 1200s.